Two years ago, the active Army’s aviation leadership and the National Guard came to a compromise: As combat deployments were winding down, the Guard would hand over the bulk of its AH-64 Apache attack helicopters to the active component and receive UH-60 Black Hawks in return. The plan, part of the service’s money-saving, five-year Aviation Restructuring Initiative, provided for a slow and deliberate transfer of the helicopters. On Monday, the Army announced its final plan for the National Guard: They would retain four battalions, according to a release from Rep. Trent Kelly, R-Mississippi. North Carolina adjutant general Maj. Gen. Greg Lusk also shared the news via his Facebook page. The problem, according to the president of the National Guard Association of the United States, is that those 72 helicopters will not be enough for the Guard to do its job. Army officials referred questions to the National Guard Bureau. Officials there acknowledged the tough compromise. He added that the high operations tempo can be supported as long as the units are properly resourced with training seats, flying hours and the right levels of manning. But the operating environment is much different now than when the decision was made, Robinson said. Per the Monday announcement, attack battalions will be based in North Carolina, South Carolina, Mississippi and Utah. Initially, the Army had wanted to deactivate all four of those units and send their helos to the active component. The Army's aviation plan saves more money, is less risky than the National Guard proposal, according to DoD study. Further, Robinson wrote, the active Army already has a shortage of Apache pilots, and so there may not be anyone to fly the helicopters when they’re taken from the Guard. 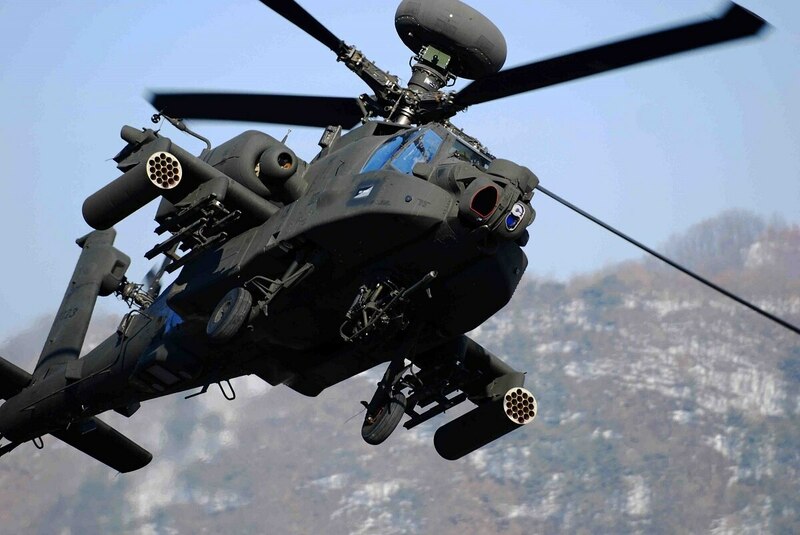 When asked whether the Apache numbers could be adjusted to meet present and future requirements, Houk said the Guard Bureau will work “aggressively” with the Guard’s state and territorial leadership, as well as the Department of the Army, Army Forces Command and the Army’s Aviation Center of Excellence to support the Aviation Restructuring Initiative. The ARI is a five-year plan to streamline the service's aviation assets amid tightening budgets. In addition to transferring the Apaches to the active Army, it included cutting active-duty combat aviation brigades and eliminating the Army’s fleet of OH-58 Kiowa Warrior helicopters. The Apaches transferred from the Guard are meant to help fill the inventory gap left by the loss of the Kiowas.